The Boroughmuir 2nd XV is our development ground for new and young talent as well as more experienced players pushing for 1st XV game time. The 2nd XV, known as the Magic 2's, play in a highly competitive league and provide a quality environment for players to develop in to gain experience and progress to the next level. The coaching is of a standard that some other clubs 1st XV's would love to have and the coaches believe that as ex and current players they have a feel for the way the players want to train and play. 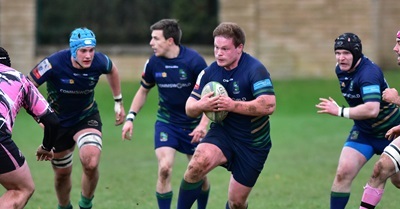 Renowned for exciting and free-flowing rugby, the 2nds are highly regarded in Boroughmuir Rugby as it gives a chance for supporters to see young and up in coming talent before making their debut for the senior team. With another great coaching team and squad in the 3rd XV, or Bears as they are known, the 2nds are now growing in standard, year on year.